Activists and supporters of LGBT rights across Spain are rallying and marching today to mark the annual International Day Against Homophobia, Transphobia and Biphobia, held worldwide on 17th May every year since 2004 to call attention to continuing discrimination against LGBT people and, particularly this year, the persecution of transgender and bisexual individuals in many countries around the world. As Spain’s national political parties and some regional community parliaments issued official proclamations condemning homophobia and discrimination against LGBT individuals, many local governments yesterday began hosting events, holding rallies and reading proclamations in front of town halls nationwide. In Malaga, local government officials reading a proclamation in support of LGBT rights and against homophobic discrimination, while local government officials in Santander sponsored a discussion in the local library about gender equality and rights for LGBT youth. 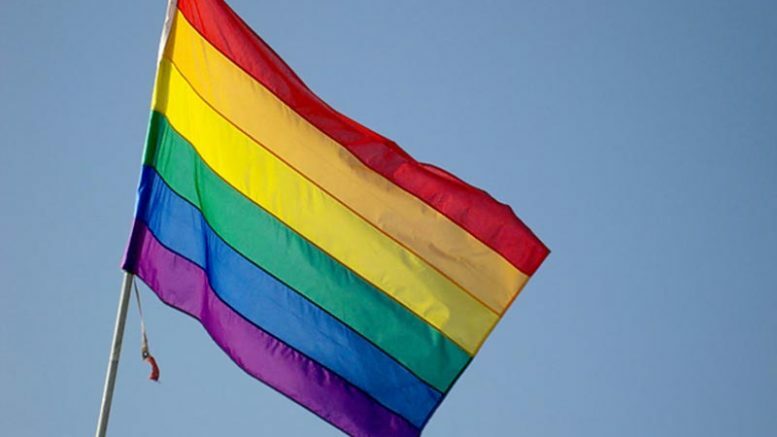 In Catalonia today, more than 50 local municipalities have agreed to fly the Rainbow Flag in support of LGBT rights and against discrimination toward gay, lesbian, transgender and bisexual individuals. In the capital Madrid, Arcópoli (the LGTB+H Association of the Community of Madrid and the Complutense and Polytechnic Universities) is hosting a celebration in support of anti-LGBTphobia that begins at 6 pm in the Parque Roma, while the Madrid LGBT Collective (COGAM) has called for a march and rally against homophobia and in support of gay rights, set to begin at 7:30 pm in the Plaza de Callao.